Harold, a founding member of the firm, applies his creativity, energy, and extensive experience to resolve litigation-related problems, whether as an advocate or a neutral. As a trial lawyer, he is a Fellow of the American College of Trial Lawyers and an Associate of the American Board of Trial Advocates. He has tried substantially more than 50 cases to verdict, in jurisdictions across New York State, in California (Superior Court, LA County), and in Connecticut (U.S. District Court, New Haven). He also has briefed and argued cases in the New York Court of Appeals, the First, Third, and Fourth Departments of the Appellate Division, the Second Circuit Court of Appeals, the Western, Northern, and Southern Districts of New York, and the California Court of Appeals. Harold also has substantial experience serving as a neutral, having arbitrated more than 30 cases and mediated more than 200 disputes. 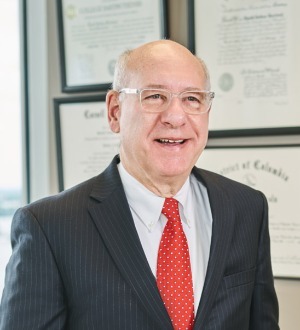 Harold’s practice includes contract and commercial litigation, construction, and defense of medical malpractice cases, in addition to his work as a mediator and arbitrator. As an advocate, Harold always works collaboratively with his clients and puts their interests first, whether that means early case resolution or full jury trial. From 1985 until April 2000, when he helped to establish what is now Ward Greenberg, Harold was a partner of Nixon Peabody LLP and its predecessor, which he joined right out of law school.